Could politicians' talk of the U.S. becoming energy self-sufficient be coming true? 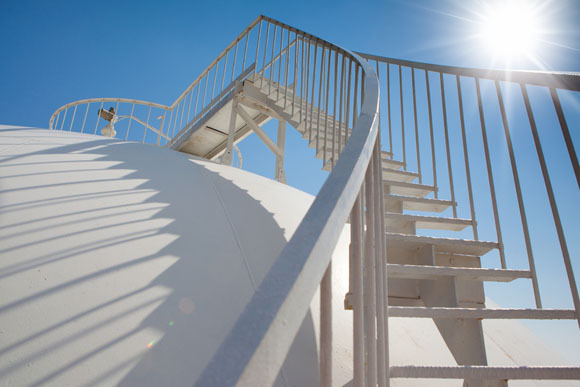 Rick Rule, founder and chairman of Sprott Global Resource Investments Ltd., explains how world energy market dynamics will shift as the U.S. reaches natural gas exporter status. From oil, gas and uranium, to hydro and geothermal, with a detour into energy infrastructure plays, Rule shares the rules he invests by in this Energy Report interview. The Energy Report: Earlier this week, the International Energy Agency forecast the U.S. would become the world's largest oil producer and an exporter of natural gas by 2020, and would attain energy self-sufficiency by 2035. Do you agree, and what would that mean? Rick Rule: We stand a very good chance of accomplishing the first two predictions. The U.S. is endowed with spectacular natural resources and we remain the epicenter for extractive and exploration technology. Our advantages in terms of the cost of capital, the application of technology and our legal apparatus are uniquely suited to unlocking the potential of our geology. "The U.S. is endowed with spectacular natural resources and we remain the epicenter for extractive and exploration technology." We know an awful lot about the geology from looking at rocks drilled by our predecessors; we have a million data points from drill holes all over the country. 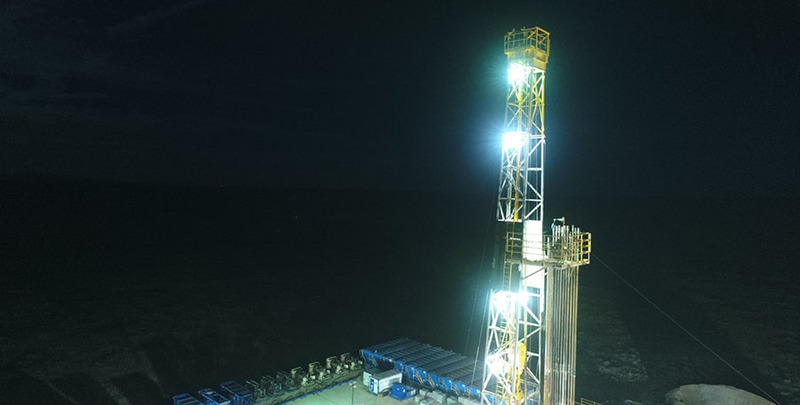 But what has really unlocked new production is 1) new three- and four-dimensional seismic technology and technologies like amplitude versus offset; 2) horizontal drilling, which is a much more effective way to drain a reservoir; and 3) multi-stage fracturing. Other countries are 10 or 15 years behind us in employing these technologies. For example, the Chinese have a great basin-centered gas play north of Chongqing in the Sichuan basin. But instead of having 50 competitors in the basin and 20 service companies, each trying to figure out the technology for themselves, China has a single player. TER: Why can't China simply buy the technology? RR: Because the application of the technology varies substantially from basin to basin, even within a single basin. For example, you cannot know if your interpretation of seismic data is accurate until you put a hole in the ground and find out what the data means using basin-specific knowledge. And if you have 20 companies interpreting the data, you have a better outcome than if you have one or two. TER: Aside from having data from a million drill holes and dozens of people interpreting them, what other advantages does the U.S. have? RR: Another advantage, particularly on the natural gas side, is that we have the world's best distribution and storage infrastructure. "I suspect the U.S. will become an indirect natural gas exporter. We will be exporting products like bulk plastics and nitrogenous fertilizer made using natural gas." The U.S. will never be a low-cost producer in the natural gas export market. We will never be able to compete with Australia's North West shelf or with Qatar in terms of lifting costs. But our broad-based production makes us an extremely reliable producer. If one field goes down, we can make up the production elsewhere and we can transport it. And if we cannot sell the gas, we can store it. I suspect that, rather than be a direct natural gas exporter, we will become an indirect natural gas exporter. 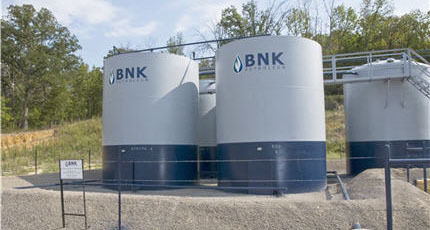 We will be exporting products like bulk plastics and nitrogenous fertilizer made using natural gas. This manufacturing will be wonderful for the U.S. economy. TER: Will that make the U.S. a low-cost producer of those products? RR: Yes, we will absolutely be the low-cost producer of ethylene-based plastics and nitrogenous fertilizer. We have the biggest market in the world, which means that our production runs will be low cost. We have a very low cost of capital. We have very reliable, if not low cost, energy supplies. 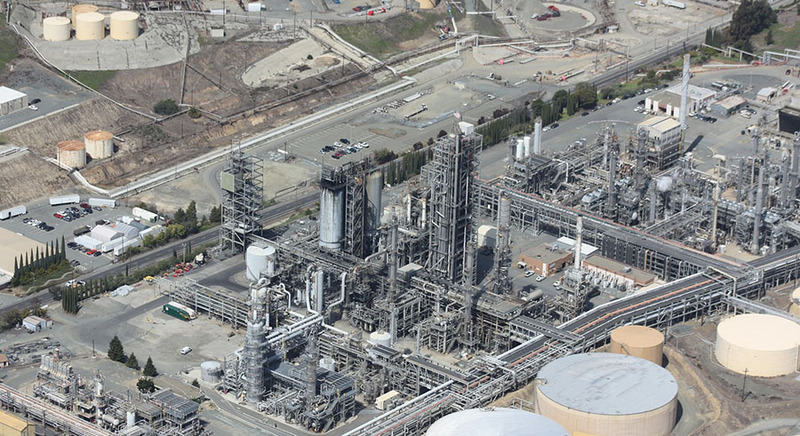 The U.S. will reemerge as a major exporter of basic chemicals and chemical products made from natural gas. TER: Are we now at peak oil? RR: Peak oil is a real concept, but in a geological context, we are not near peak oil. In an economic context, we are certainly at peak $50 per barrel (bbl) or $60/bbl oil. What stands between us and more oil and natural gas is politics. 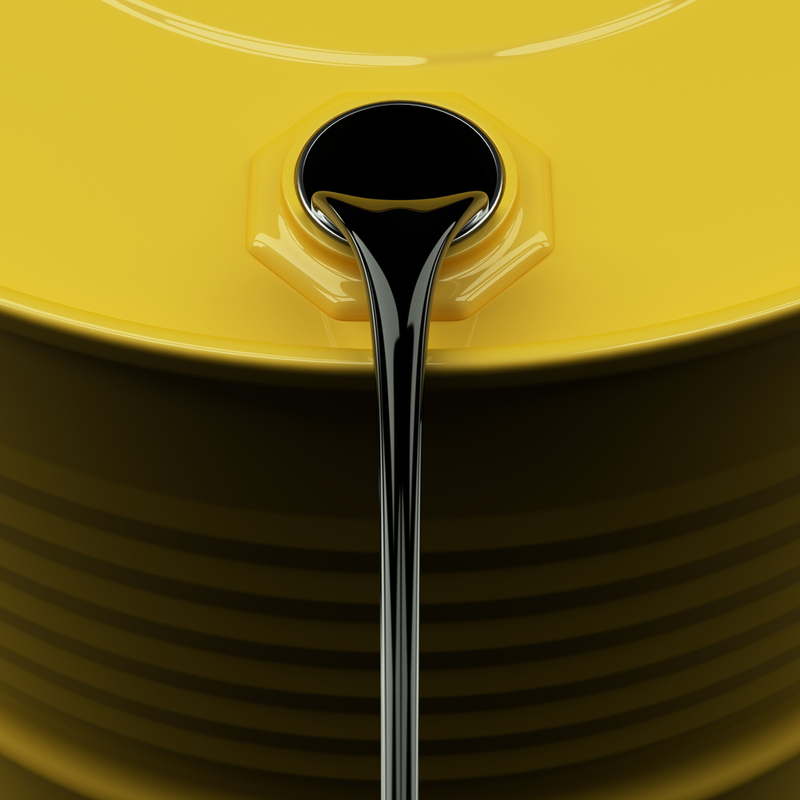 TER: Will an $80–100/bbl price floor slow growth? RR: Yes, and those two things feed on each other. In the context of producing energy the cost that will rise fastest in the next five years will be the "social take." When oil was $20/bbl, governments were a bit gentler on the oil industry because there was not much left to steal. At $100/bbl, there is plenty to steal. TER: To what extent are the real major economic powers taking the political-social slice out of oil? RR: In China, the social take is enormous. The U.S., in a global sense, has reasonably good fiscal terms. I suspect that will change. TER: As the U.S. moves toward being the world's largest oil producer and perhaps to energy independence in less than 30 years, how will that influence what happens here? RR: One example: If we can substitute natural gas for petroleum as a motor fuel, it might convince us to engage in fewer military adventures in the Middle East. Being an exporter of beneficiated energy will be good for our own economic security. Larger production runs for export also should lower the unit cost in the U.S. and make access to those products cheaper for American manufacturers and consumers. TER: When will we see that kick in? RR: We are seeing it now. One indicator is that, after years of seeing West Texas Intermediate (WTI) priced at a premium to Brent, Brent is now at a $15 premium to WTI. That means that the U.S. consumer enjoys a $15/bbl subsidy as a consequence of the efficiency of the American energy industry relative to consumers in other parts of the world. 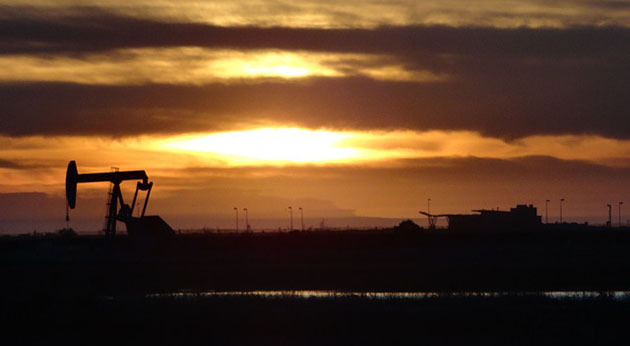 TER: How does an investor play energy production in the U.S. or North America? RR: Instead of debating which of the large producers is best, I like less-capitalized arenas. I specialize in producers with market caps under $1 billion (B). I prefer the underanalyzed Canadian market to the overanalyzed American market. With some of the companies I follow, I am the only analyst. "I prefer the underanalyzed Canadian market to the overanalyzed American market. With some of the companies I follow, I am the only analyst." Among these companies, I look for those involved in very large resource plays that take advantage of the new technology. Plays that intrigue me include the Cardium and the Viking in Canada. I look for situations where you can see an inventory of proved, undeveloped locations, where you have some sense that if you spend $1 million ($1M) drilling and completing a well, the expectation is that the net present value (NPV) of the resource is $1.5M. If somebody presents you with a proposition that if you spend $1M, you will get back $1.6M in NPV, the correct response is "count me in." There are probably 15 or 20 companies in Canada that are selling at substantial discounts to the NPV of their proved, undeveloped resources at today's prices. TER: How long will that gap remain? RR: A couple of things could happen to close it. If the prices of oil and gas go down, it would take care of the equation in an unpleasant fashion. I do not think that will happen. The second is that when companies drill out their proved, undeveloped locations, they become much larger producers. At that point, they can dividend out the resultant cash flow, which some are starting to do, or they will be taken over. I have noticed that this is a market without much trust in the future. It values dividends a lot. Companies are realizing that, if they slow their growth and distribute more free cash flow by way of dividends, their market caps go up so much that their cost of capital goes down. A classic example is Twin Butte Energy (TBE:TSX). When we took Twin Butte from a growth company to a dividend company, it was selling for $2/share. We instituted a $0.20 dividend, and over six months, the stock marched smartly up to $3. When it traded down from a 10% dividend to a 6.5% dividend in the market, investors got the 10% dividend, meaning 35% appreciation. The market's perception of its success allowed Twin Butte to use its paper to buy private companies in an accretive fashion. TER: Is this happening only in the energy sector? RR: Mostly, because energy companies are generating free cash. We also are starting to see takeovers in Canada. RR: There are more players in Canada. Junior producers in Canada are selling at a much greater discount to NPV than junior producers in the U.S.
Because Canada is an energy exporter now, countries like Korea, China and Japan want to secure supplies there. This desire to import or export hydrocarbons directly from Canada to markets that can displace oil back into their domestic markets is a really important theme. TER: As the U.S. becomes more self-reliant, does Canada need to create other international marketplaces? RR: Absolutely. That is another theme. TER: Is Sprott focusing more on energy investment opportunities these days? RR: The firm has had an important energy practice for 20 years and it remains an important part of our business. We see ourselves growing substantially, with a focus on domestic Canadian issues, or sub-$1B market caps, global frontier and emerging markets and exploration companies listed in Australia, Canada or London. One recent success in this effort is Africa Oil Corp. (AOI:TSX.V), which made an important discovery in Kenya this year. It went from $0.80 to $10 in a fairly bad market. There is a lot of low-hanging fruit in emerging and frontier markets. There is more money to be made in energy outside the U.S. than inside, because we have a much more efficient market in which assets are priced closer to their value than almost anywhere else in the world. TER: But in Africa and South America, you have to discount for political risk, right? "There is a lot of low-hanging fruit in emerging and frontier markets." RR: You do. However, the idea that political risk manifests itself only in frontier markets is one of the most common fallacies in investing today. If your money is stolen from you in English by a Caucasian person according to the rule of law, it is no less gone than if it is stolen from you in another part of the world, in some other language, by somebody who does not look like you. Increasingly, you will have to discount for political risk in the U.S., too. I remember when regional rivals in the U.S. instituted something called the excess profits tax on the oil and gas business in 1977. When you have concentrated wealth in an industry as unpopular as the oil and gas industry, there is a near certainty of social theft. TER: In what part of the world should investors focus their attention? RR: The truism holds that if you are looking for oil, you have to go to the oilfields. The Middle East and North Africa come immediately to mind. Both are scary places, but we have traditionally enjoyed very good success there. There is political risk, but there are enormous geological horizons as well. Again, Africa Oil is an example. The company has been interested in the potential of the East African Rift for 40 years. It recently drilled a discovery well in Kenya and made what appears to be a substantial discovery. One would assume, having validated the exploration thesis and with continued success, it could trade higher. The odds of getting a tenbagger in the U.S. or in Canada in pure exploration discovery are fairly low. You will get good returns in North America, but they will be industrial returns. I liken them to Ohio State football—four yards and a cloud of dust. You do it again and again and again, and you win the game. Investors who like juniors will have to be in emerging and frontier basins. Southeast Asia appeals to me. There are spectacular sedimentary horizons in Myanmar, which is just opening up. I also expect to see political liberalization in Bangladesh, a country underlined by a sedimentary basin. The petroleum potential there is superb. Finally, the petroleum potential of the Arctic basins in Russia is probably the greatest unexplored potential in the world. TER: You are bullish on uranium. If the U.S. becomes the leading producer of oil, will the demand for nuclear energy, and therefore uranium, decrease? RR: The growth in uranium demand is global, not U.S.-centric. The U.S. represents 20% of worldwide uranium demand and I expect that to stay steady. The increase in demand for uranium will come from countries that are growing more rapidly, particularly in their electricity consumption, than the U.S.
TER: What about demand in Japan? RR: Despite Japan's announcement about phasing out nuclear energy by 2040, the government-run Japan Oil, Gas and Metals National Corp. (JOGMEC) recently entered into a joint venture with Uzbekistan to explore and develop uranium deposits. Why would you spend a lot of money exploring for and developing something that you were not going to use? The Japanese have no choice but to restore their nuclear industry, and they know it. Before Fukushima, Japan consumed 20 million pounds (Mlb) of uranium annually. After Fukushima, two things happened. First, 20 Mlb of demand came out of the world market. Second, the uranium inventories at Fukushima were sold. That created a 35 Mlb swing in a 150 Mlb market. That is just a blip. Germany also announced plans to phase out its nuclear industry. This is particularly cynical in that Germany will simply import electricity generated by nuclear power from France and Poland. "The Japanese have no choice but to restore their nuclear industry, and they know it." More important is the growth in nuclear plant construction in China, Korea, Taiwan and the Middle East. These new plants under construction consume more uranium. They're much larger and much more efficient plants, but they are 300,000-pound plants, even million-pound plants. I feel extraordinarily bullish about the uranium industry. TER: I read that it takes $80-per-pound (lb) uranium to make new projects feasible. Today, uranium is going for $50/lb. Is this a good time to get in before uranium becomes the darling once again? RR: If we sell uranium for $40/lb on the spot market or $60/lb on the term market and our fully loaded costs of production are $80/lb, one of two things happens: The price of uranium goes up or the lights go out. The price of uranium is almost irrelevant in terms of the finished price of power. Increasing the price of uranium from $40/lb to $80/lb would probably increase the cost of nuclear-generated power by 3.5%. The price of uranium is a very small input in terms of the finished cost of electricity from nuclear power. TER: But there is a timing issue as well. Should people go into uranium now with the expectation of holding it until the price goes up, or wait for a supply constraint to occur? RR: I prefer "when" events to "if" events. A higher uranium price is a when event. I like to have the bulk of my net worth involved in when equations and my speculative capital involved in if equations. TER: Are you looking at other forms of energy? RR: Despite making some bad choices of management teams in geothermal, I am spending a lot of money in geothermal and hydro-based businesses. TER: A couple of years ago, geothermal was a rollup play, the hope being that these companies would become financially viable. Is that still the play? RR: It would be nice if that were the play, but the industry is not going to last long enough. Several players in the sector are $200M to $600M in, and will have to wait five to seven years before taking any money out. "I am spending a lot of money in geothermal and hydro-based businesses." Investors are so sick of the sector that independent power producers outside of geothermal are going to harvest what are, in effect, annuitized gains that are a consequence of all the money that went in. The industry is no longer large enough to roll up. North America has three junior players, and I suspect that all three will be bought by international utilities or international power producers. TER: So the play is to buy the companies that are likely to be acquired? RR: Absolutely, although at this point, most of the junior hydros are private. TER: Are there other interesting energy trends for investors to capitalize on? RR: As long as interest rates stay low, there is money to be made in energy infrastructure. The income stream from a pipeline or a port is very predictable and long term, which is highly prized in today's low interest rate environment. What you need to do if you are going to invest in energy infrastructure, ports or pipelines, is wait for a periodic psychotic break. An example would be 2008, when the Westshore Terminals (WTE:TSX) income fund fell from $25/share to something like $8/share. At $8/share, the company spun off a 19% dividend in perpetuity. When a psychotic break happens, investors with cash and courage can buy very high-quality infrastructure names like Westshore Terminals, Enbridge Inc. (ENB:NYSE) and Kinder Morgan Inc. (KMI:NYSE) for double-digit yields that will continue through those investors' lifetimes. TER: In this case, you are not buying an equity with the expectation that it will go up in the market; you are buying a cash stream. RR: Yes. One of the things I like most about the infrastructure business is that, with rudimentary knowledge of income statements and balance sheets, you can look at the sustainability of the revenue stream. The value proposition at Westshore Terminals is pretty simple. There is a 100-year supply of proven coal in Western Canada, and at least 100 years of demand for that coal in Asia. Only two places on the West Coast of Canada can ship that coal. That creates a constraint, and Westshore Terminals gets to charge a fee to allow ships through that bottleneck. TER: Is it your advice to investors to have a list of potential infrastructure plays earmarked, wait for a pullback and pounce? RR: Correct. They need their list. TER: Aside from a longer-term annuity bent, what other factors could affect infrastructure plays? RR: These investments are extremely sensitive to interest rates. If interest rates go up, two bad things happen. First, the interest costs that these companies pay associated with the capital that they employ, which is largely debt, goes up. This constrains their free cash. At the same time, the capitalized value of their distributions—often priced at a premium to 10-year government paper—declines. If you own infrastructure plays and you see indications of a rising interest rate environment, you need to set reasonably tight trailing stops to protect your capital. TER: Rick, thank you for sharing your time and insights. Rick Rule, founder and chairman of Sprott Global Resource Investments Ltd., began his career in the securities business in 1974. He is a leading American retail broker specializing in mining, energy, water utilities, forest products and agriculture. His company has built a national reputation on taking advantage of global opportunities in the oil and gas, mining, alternative energy, agriculture, forestry and water industries. 3) Rick Rule: I personally and/or my family own shares of the following companies mentioned in this interview: Twin Butte Energy, Africa Oil Corp., Westshore Terminals and Kinder Morgan Inc. I personally and/or my family am paid by the following companies mentioned in this interview: None. I was not paid by Streetwise Reports for participating in this interview. Want to be the first to know about interesting Coal and Oil & Gas - Exploration & Production investment ideas? Sign up to receive the FREE Streetwise Reports' newsletter. 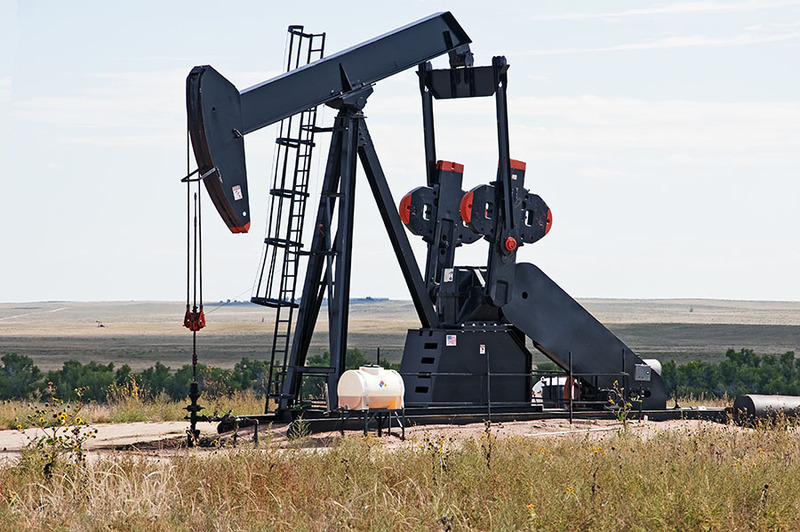 Want to read more about Coal and Oil & Gas - Exploration & Production investment ideas?